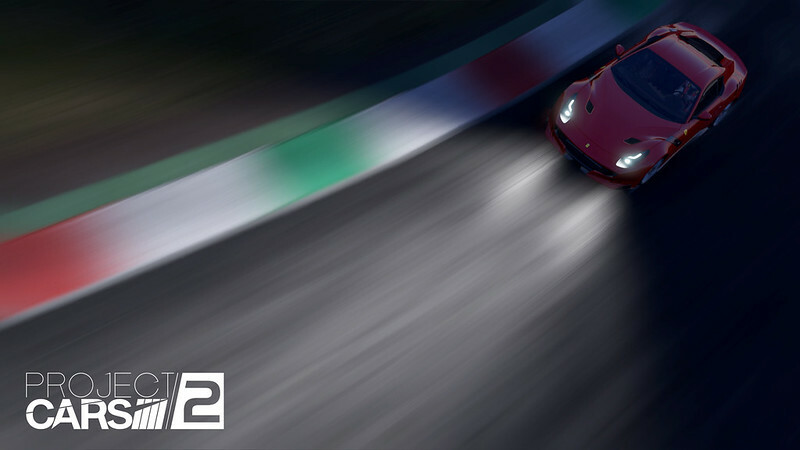 Before selecting my two favourite cars to reveal here, though, let me start by revealing the two tracks that come with the Pack: Ferrari’s very own test-track at Fiorano, and the Mugello Circuit near Florence. Racing fans who’ve been turning up at Mugello for the last hundred years have always been a tad fanatical; they like winners here, but they absolutely worship fighters – those head-down, skillful and brave all-action heroes who always rise to the top around this classic track. Ferrari actually saved Mugello from extinction back in the late-’80s, and it retains that special “something” from a racing world that is quickly vanishing around us: With its definitive, old-style series of fast sweeping turns that demand total commitment, this 5km track is a true driver’s circuit, an exciting and intoxicating place that mixes raw speed and thrills with heroic drivers going back a century. Mythical stuff. 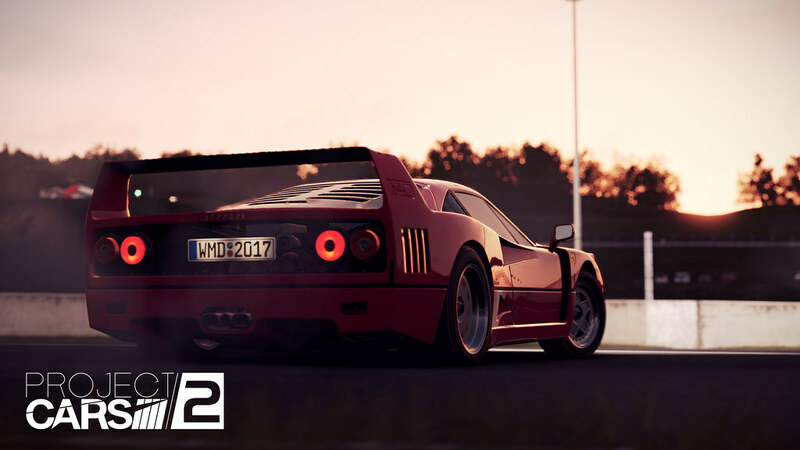 With the eight Ferraris coming to the Pack adding to the ten already in Project Cars 2, choosing just two is really tough – so I’m just going with those that make my heart pump that much quicker. My number two choice? Let’s start with the basics: no ABS, no traction control, no power steering, no door-handles (you use a wire), designed by Pininfarina, the F (for Ferrari) 40 (for Ferrari’s 40th anniversary) was built to coincide with Enzo’s 90th birthday. The Ferrari F40 is basically an exclamation mark that highlights Ferrari’s DNA: all the passion, design, and sporting heritage of Maranello captured in one supercar. This is pure driving exhilaration in a racing-red design, and the final car ever built under the inscrutable gaze of Enzo Ferrari. Jalopnik called it, “the last gasp of the analogue ’80s turbo era”, but it’s more than that: it’s also the last “true” supercar with no nannies and no aids – just you, a 2.9L turbocharged V8, and the adventure of the road ahead. 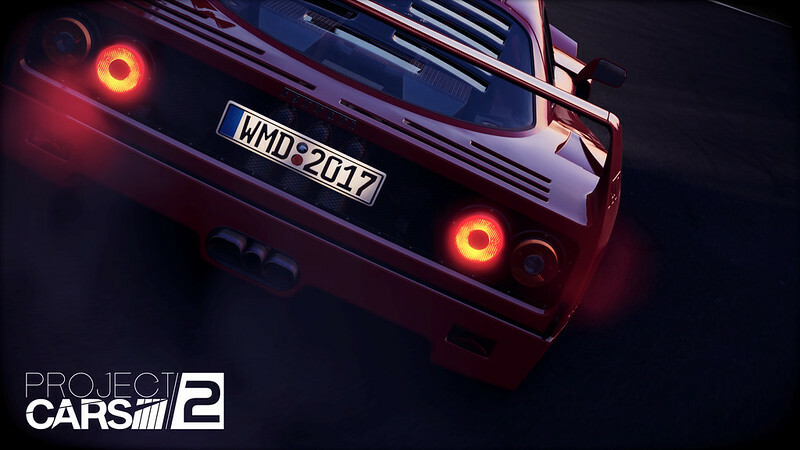 Epic stuff, as are all eight of the Ferraris that make up the “Ferrari Essentials Pack” for Project Cars 2. 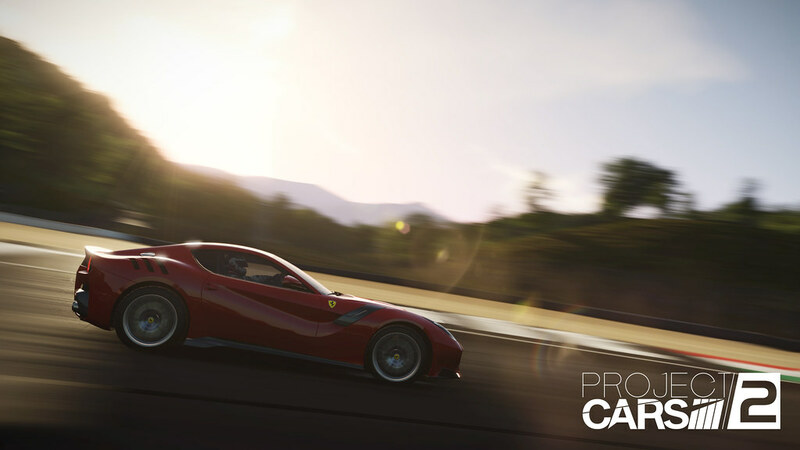 The “Ferrari Essentials Pack” for Project Cats 2 releases tomorrow, 11th September, as part of the Season Pass or standalone purchase.